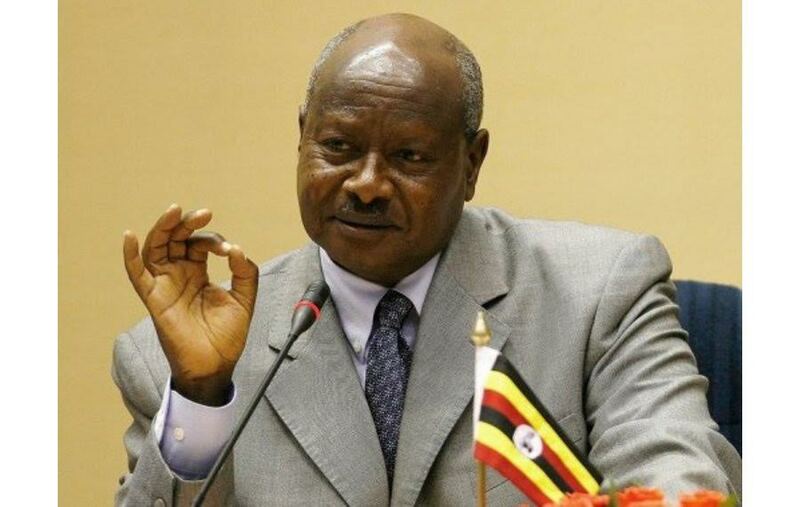 Uganda government and stringent laws; last week, the Ugandan government female single mothers from registering and attending schools after birth and this time around, the have moved a step further through the ministry of Public Service to ban female public servants from going to the office with cleavage barring outfits. 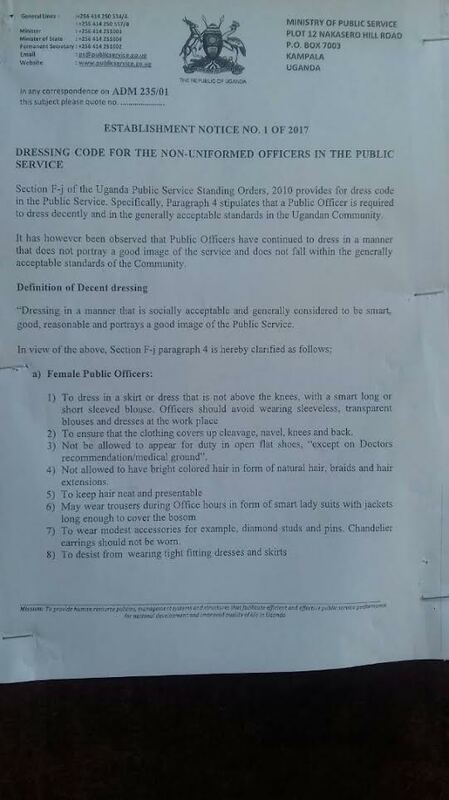 In a circular tweeted by Observer Newspaper, it says women are not allowed to show their cleavage nor wear dresses or skirts that are above the knees. Sleeveless blouses or any clothing made out of see-through material are equally not permitted. Women's pant-suits are allowed, but female public servants will not wear any tight-fitting clothing. Flat, open shoes are also ruled out, except in cases where one can prove that it is for medical reasons. The circular further states that accessories should be modest, and women should not have bright hair colour, braids or extensions. For the men, they are required to wear neat, long-sleeved shirts, jackets and ties, trousers that are not tight, keep their hair short and neat, and also not wear brightly-coloured clothes. 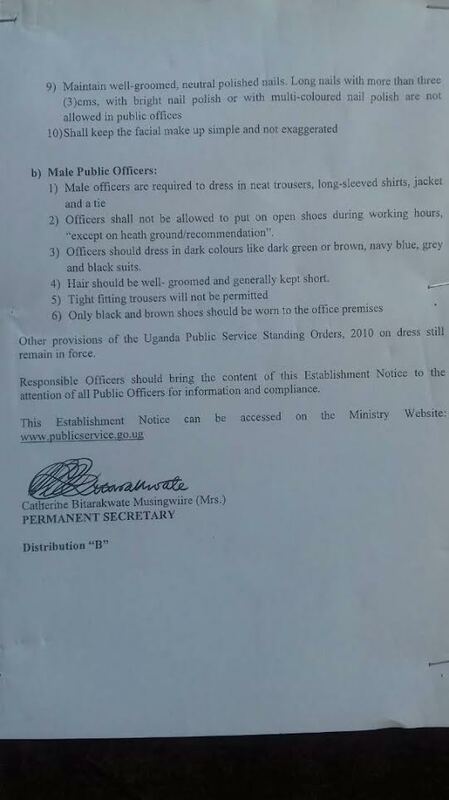 The circular, derived from the 2010 Public Service Standing Orders on dress-code, was forced to be put in place following the high rate of indecent dressing in the office.